Take the Anwoth turn off the A75. 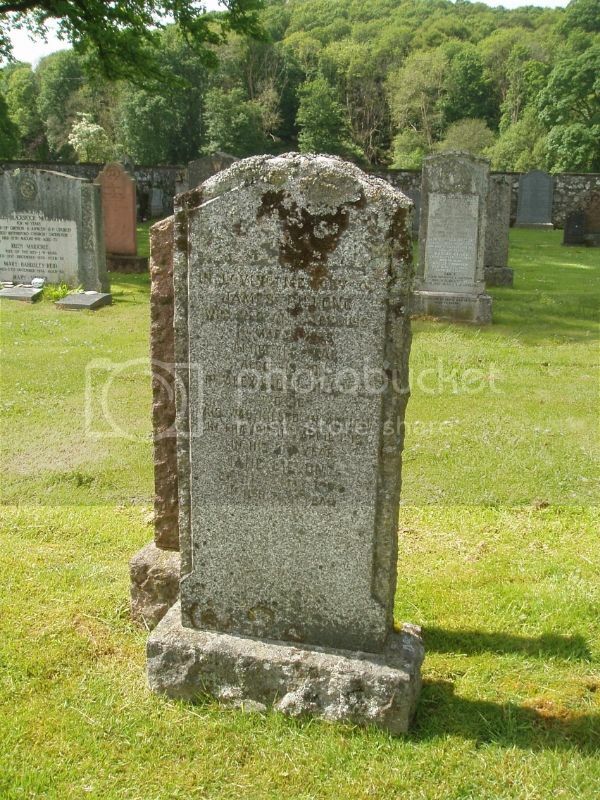 The new kirkyard is a couple of hundred yards from the old one. 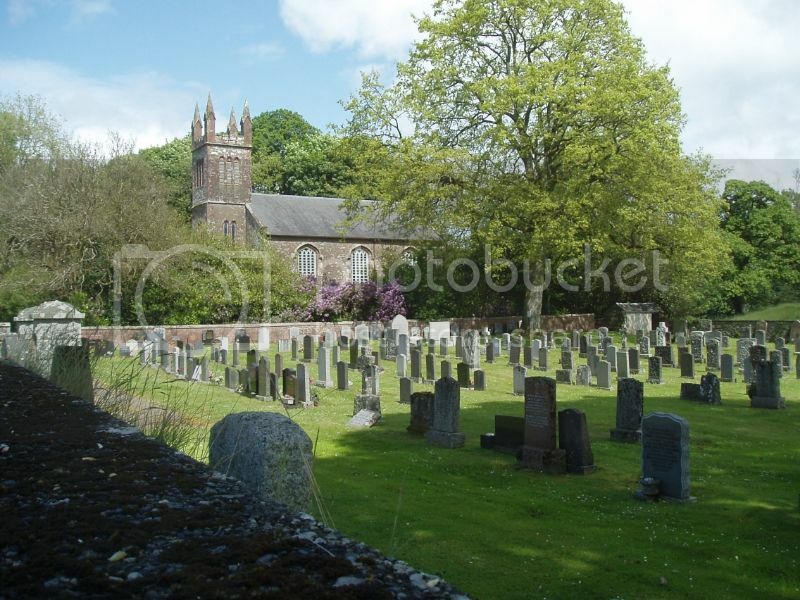 The cemetery is associated with the new Anwoth parish church, built in 1825, which is just to the north of the cemetery. The church is no longer in use. 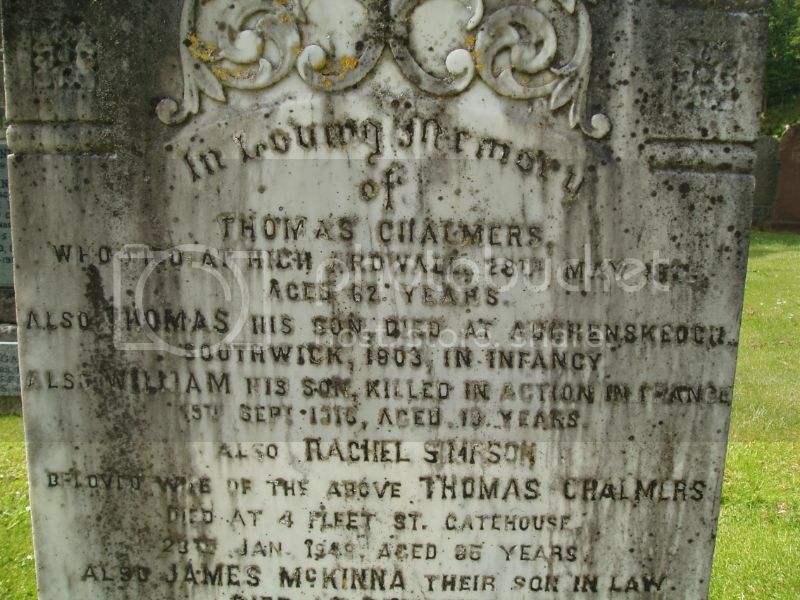 Additional Information: Son of Thomas and Rachel Chalmers, of High Ardwall, Gatehouse-of-Fleet, Kirkcudbrightshire. Additional Information: Son of Comdr. 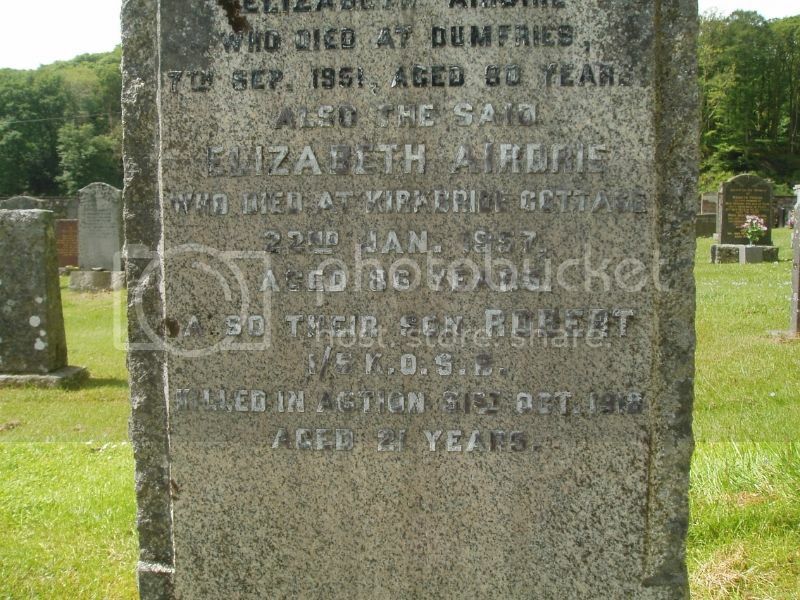 Arthur F. G. Cochrane, R.N., and Mrs. Cochrane, of Rusko, Kirkcudbrightshire. Note the difference in the forename and rank. 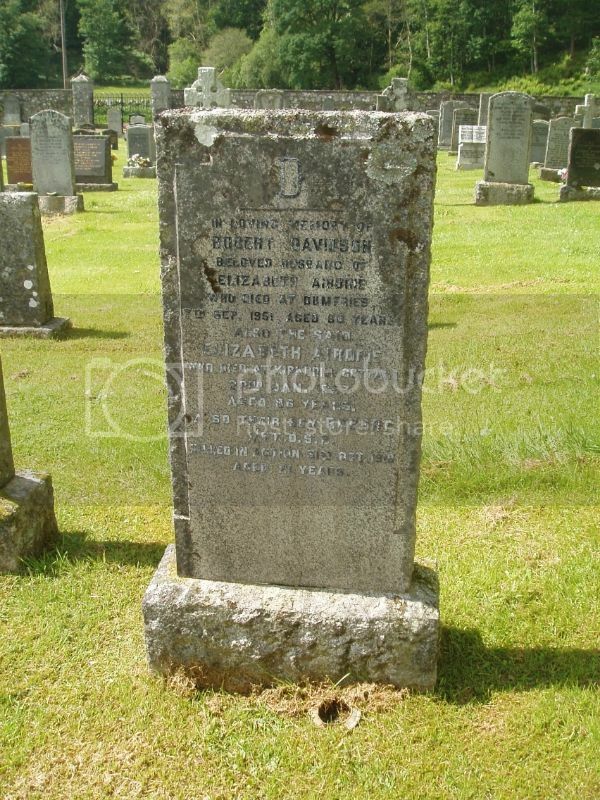 Additional Information: Son of Robert and Elizabeth Davidson, of Lanefoot Cottage, Cardoness, Gatehouse-of-Fleet, Kirkcudbrightshire. 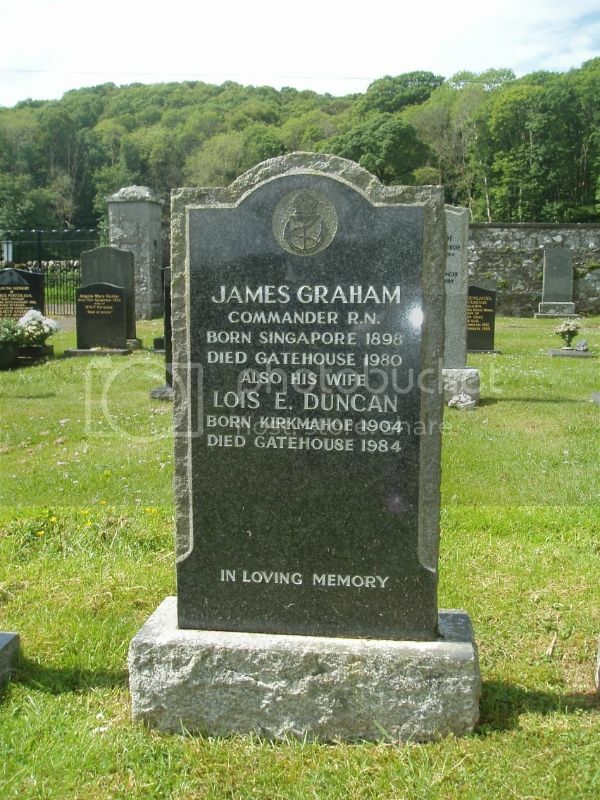 Additional Information: Son of James and Jane Gillone, of Fleet St., Gatehouse, Kirkcudbrightshire. 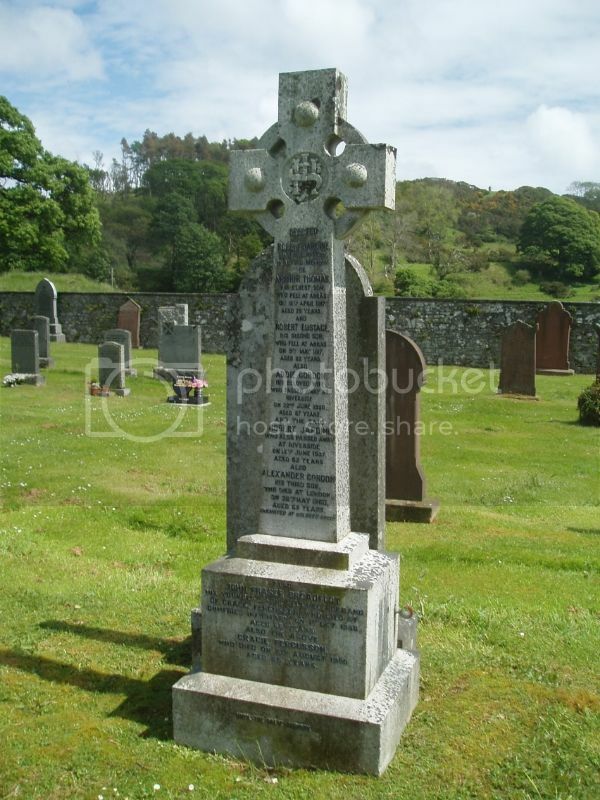 Inscription reads: In loving memory of James Gillone who died at Gatehouse 1st March 1928 in his 71st year. 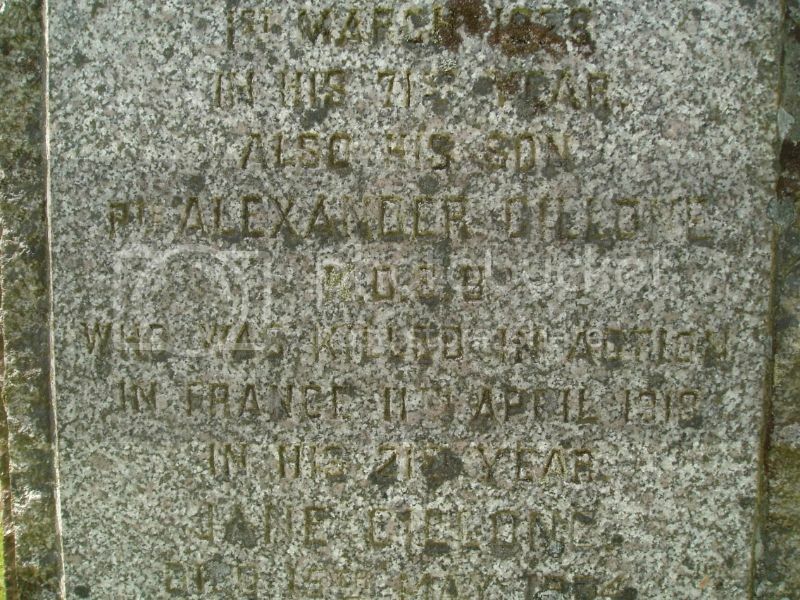 Also his son Pte Alexander Gillone K.O.S.B. 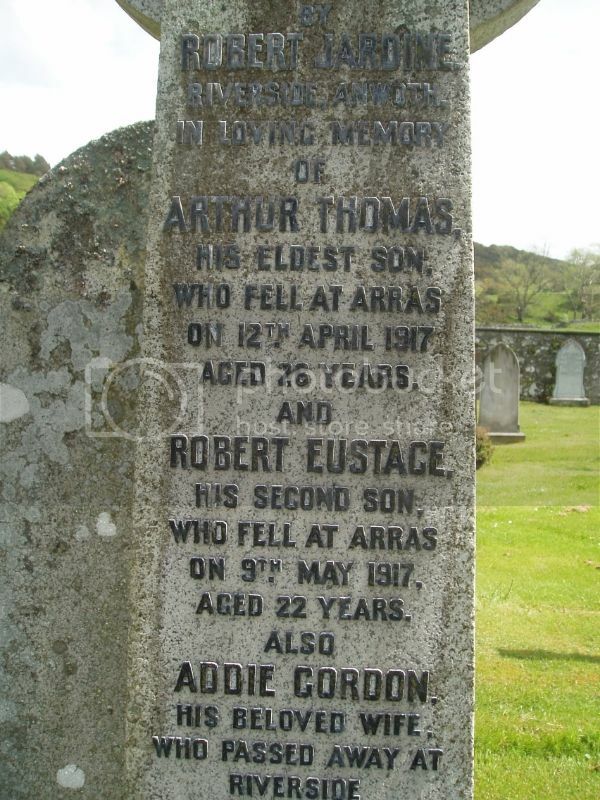 who was killed in action in France 11th April 1918 in his 21st year. 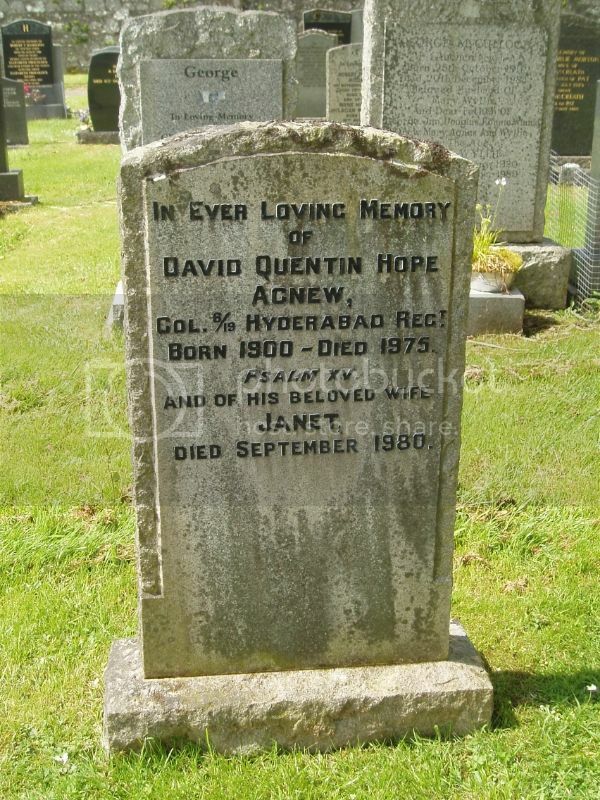 Jane Gillone died 15th May 1934 in her 75th year. 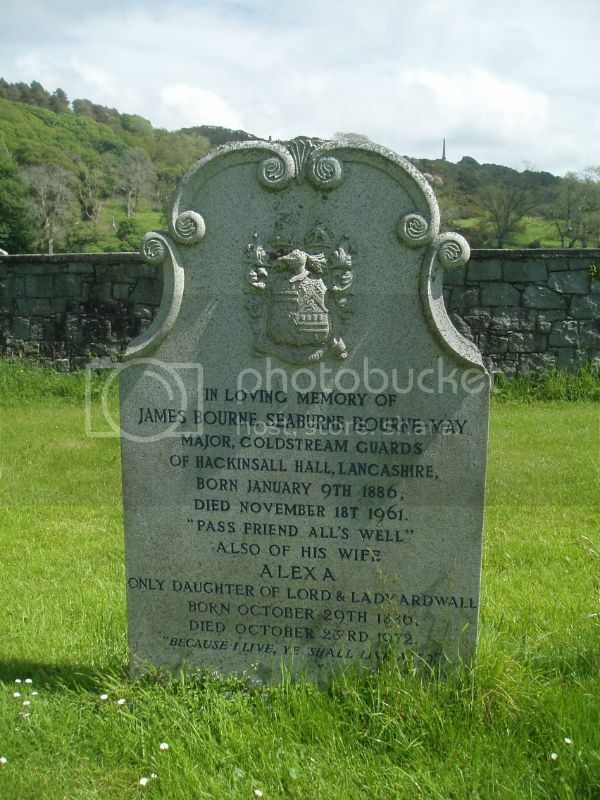 Additional Information: Son of Robert and Addie Jardine, of Riverside, Gatehouse, Kirkcudbrightshire. 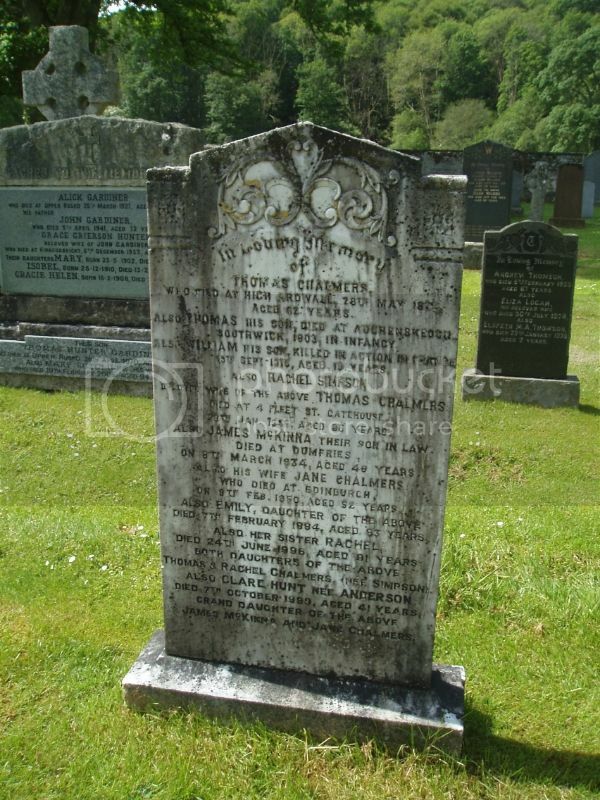 Additional Information: Son of John and Esther W. Sproat; husband of Margaret Sproat, of Edinburgh. Galloway Gazette (26 February 1944): Captain John Sproat RA, younger son of Mrs Sproat, 22 High Street. 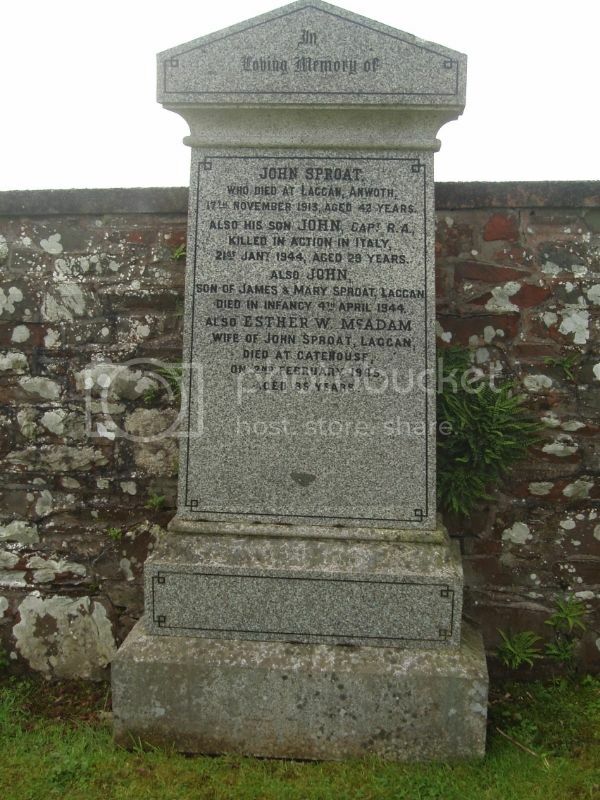 Gatehouse of Fleet, and Flight Sergeant Joe Liveset, RAF, younger son of Mr and Mrs Livesey, Dildawn, Castle Douglas, who were previously reported missing, are now both presumed to have been killed in action. 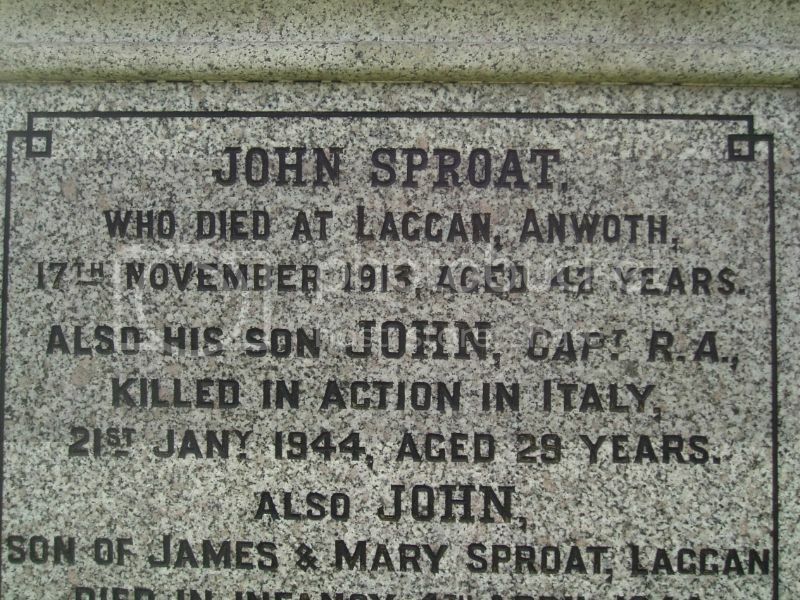 Captain Sproat, whose wife lives in Edinburgh, was serving with the Central Mediterranean Forces. 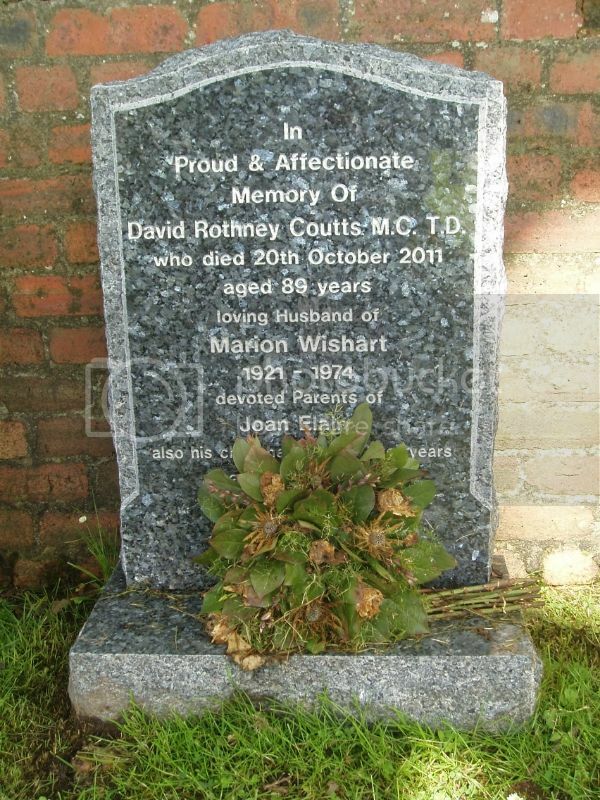 David Rothney Coutts MC, 2nd Battalion, Royal Scots Fusiliers. Took part in assault on Madagascar in 1942 and the invasion of Sicily in 1943. 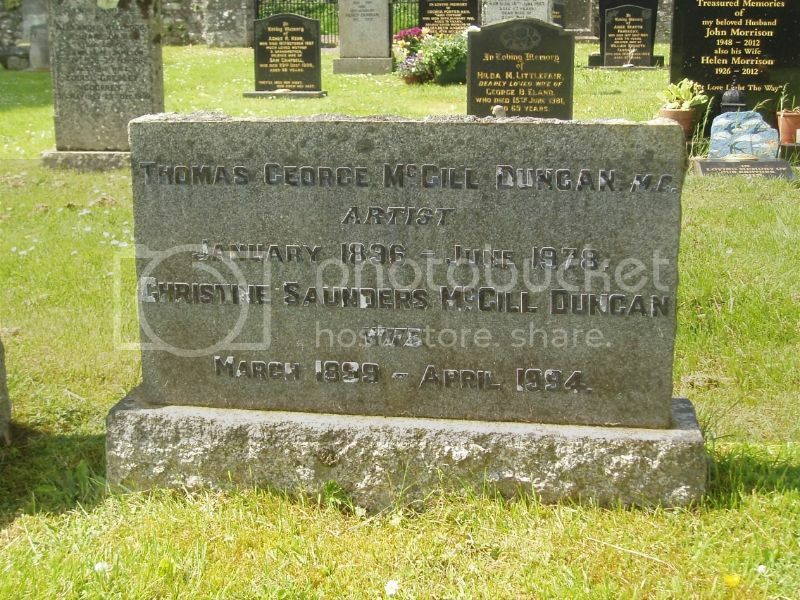 Involved in the defence of the Anzio beach head and, after a spell in Palestine was in Germany April 1945. 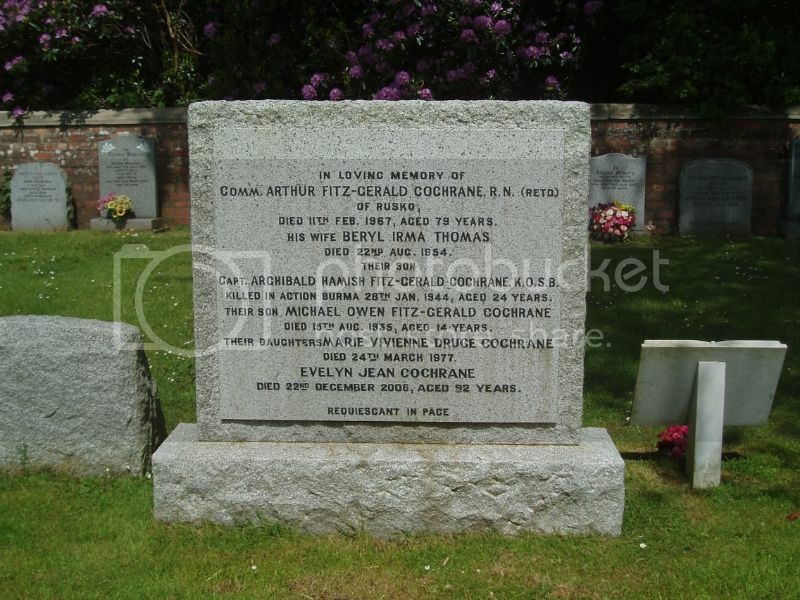 Ken Morrison has provided a bit more about Ian MacLaren's RAF background and the award of the DFC: No.614 "County of Glamorgan" Squadron was an army co-operation unit. In November 1942 it was flying Bristol Blenheims when it moved to North Africa. For the next few months it operated as a bomber squadron, attacking German and Italian airfields in Tunisia. Air Ministry, zist May, 1943. 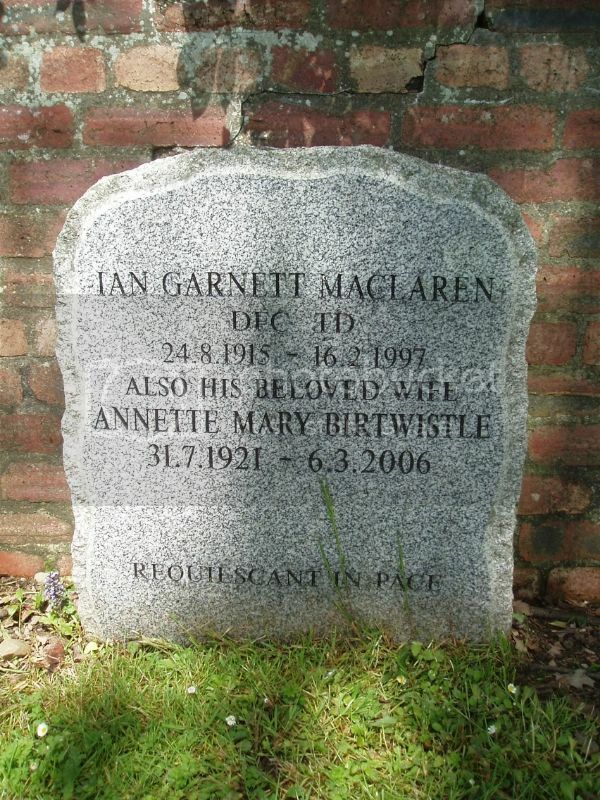 Acting Squadron Leader Ian Garnett MACLAREN (45602), No. 614 Squadron. In operations in North Africa, this officer took part in a number of successful sorties, many of them in bad weather and over difficult terrain. One night in February, 1943, he was detailed to execute a night bombing attack against enemy transport and troops in the Kasserine Pass. The weather was extremely bad with heavy clouds covering the mountains on either side. 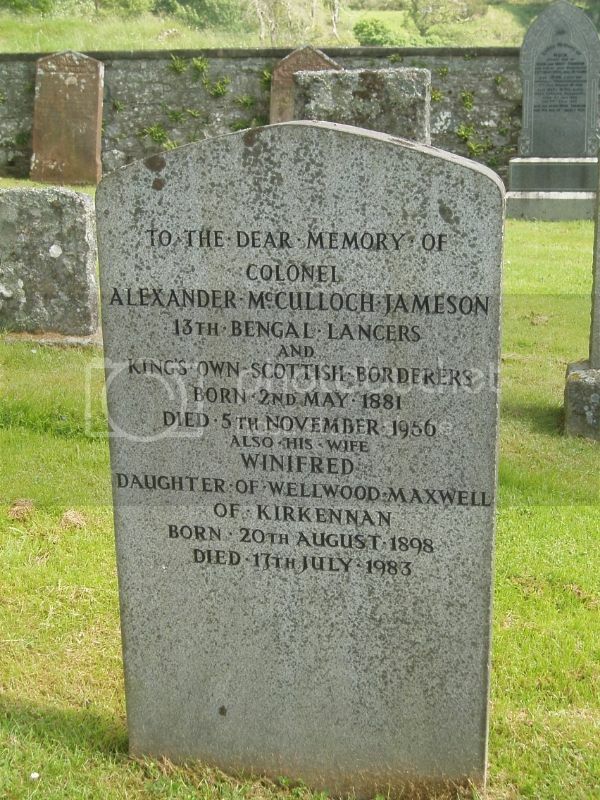 Despite this Squadron Leader MacLaren flew down the pass and successfully bombed the target. He has invariably displayed great courage and determination. Joined the 1st Lothians and Border Yeomanry, a territorial cavalry unit before the Second World War. With the outbreak of war, Major Walter McCulloch went to France and was taken prisoner of war June 1940 with most of his unit which was providing the rearguard at St Valery so men on the beaches of Dunkirk could escape. 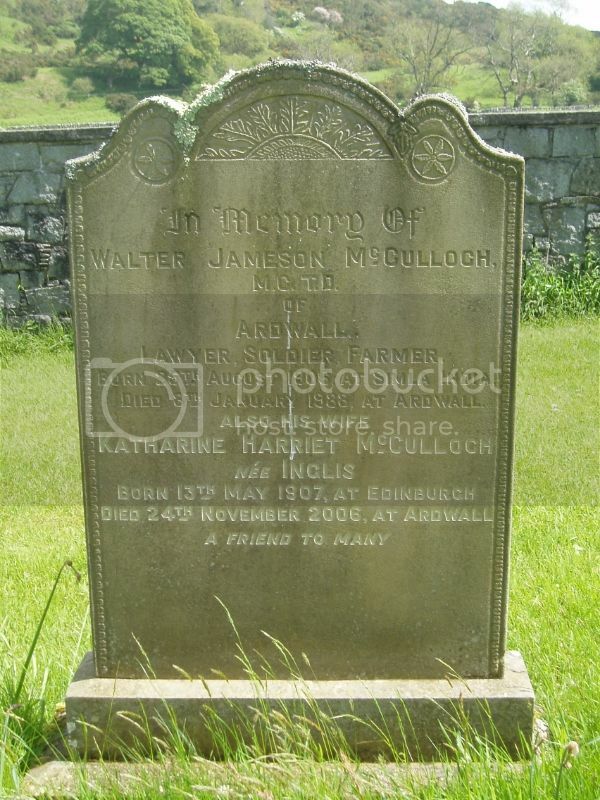 The Galloway Gazette of 3 January 1988 reported his death in a road accident on the A75 just outside Creetown.